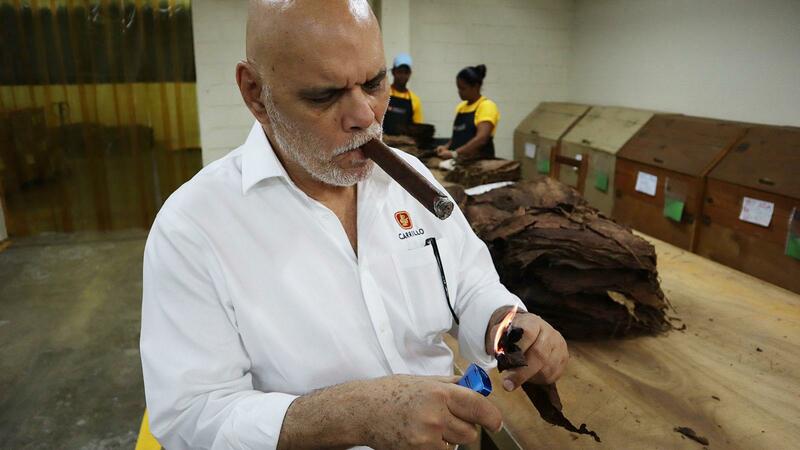 Ernesto Perez-Carrillo lights a tobacco leaf and gets a sense for its aroma. When Ernesto Perez-Carrillo, owner of EPC Cigar Co., released the Encore cigar line last year, he had two or three rollers in his factory making Encores. Now that Cigar Aficionado named the Encore Majestic the Cigar of the Year for 2018, he’s had to assign 16 rollers just to keep up with demand. 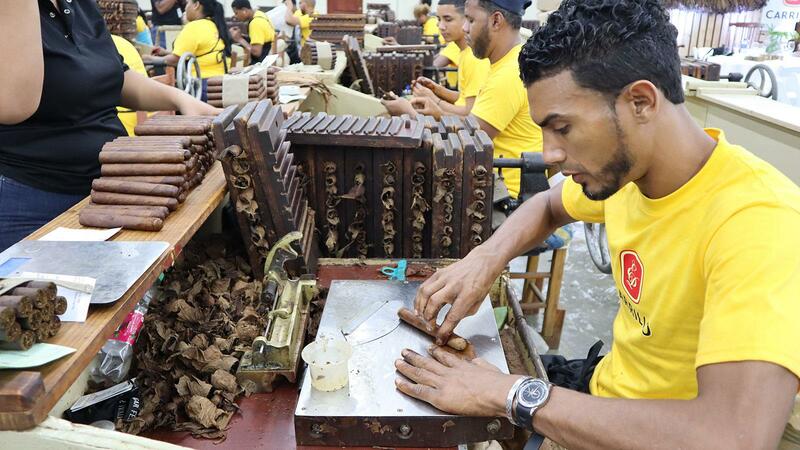 Normally, his La Alianza factory produces about 2 million cigars a year. If demand for the Encore keeps up, Perez-Carrillo thinks he’ll make about 2.4 million cigars for 2019—but that’s a safe, conservative estimate. It could possibly go up to 2.5 million; however, Perez-Carrillo is a humble guy who doesn’t like to brag. 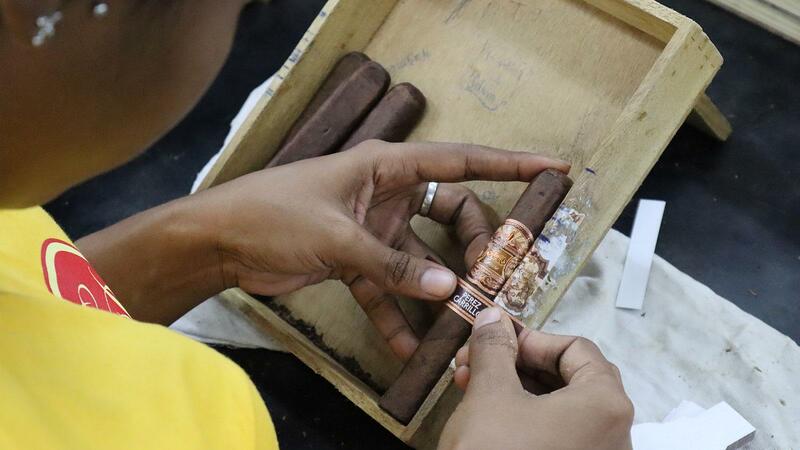 I visited the factory during last week’s ProCigar Festival tour in the Dominican Republic and Perez-Carrillo showed me some of the production steps necessary for making this most distinguished cigar. I took some photos in hopes of relaying to you the journey that each Encore takes. Some of the steps, however, had to be kept secret, so I couldn’t show you everything. These rollers are completely dedicated to producing cigars in the Encore line and nothing else. 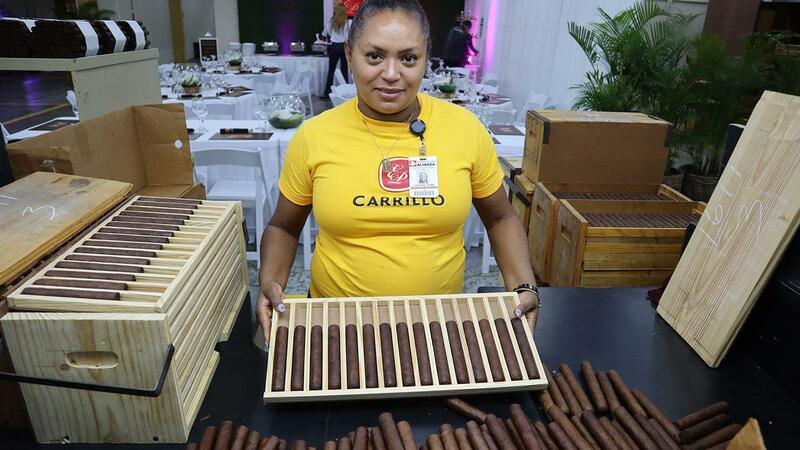 After the cigars are rolled, a factory worker sorts them for color consistency and puts them in wooden slats for trunk pressing. A few hours in the slats and the cigars go from round to pressed. They spend time here in the drying room, a crucial step in the Encore’s process. 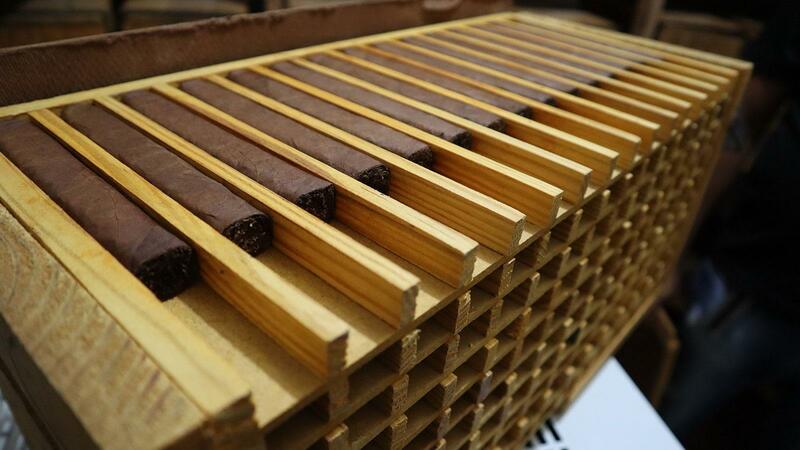 Now that the cigars have taken a pressed form, they’re ready to be banded, cellophaned and boxed.